Held in early July at American Yacht Club in Rye, NY, this regatta is with spinnakers. This event is hosted at the winner’s yacht club. 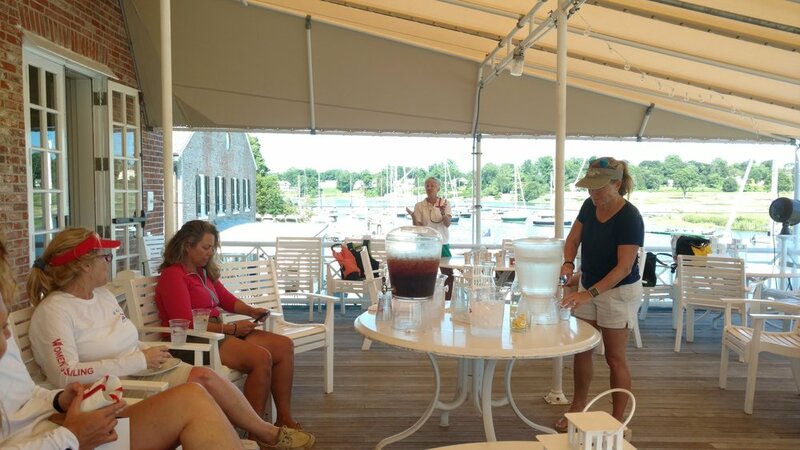 Held in mid July at Pequot Yacht Club in Fairfield, CT, this regatta is with spinnakers. Held in mid July at Norwalk Yacht Club in Norwalk, CT, this regatta is with spinnakers. Held in early September at Indian Harbor Yacht Club in Greenwich, CT, with spinnakers. This weekend regatta consists of a Saturday fleet race and Sunday distance race. The 2018 Lorna was photographed by Mary Alice Fisher and by Andrea Watson, click here to access their websites. 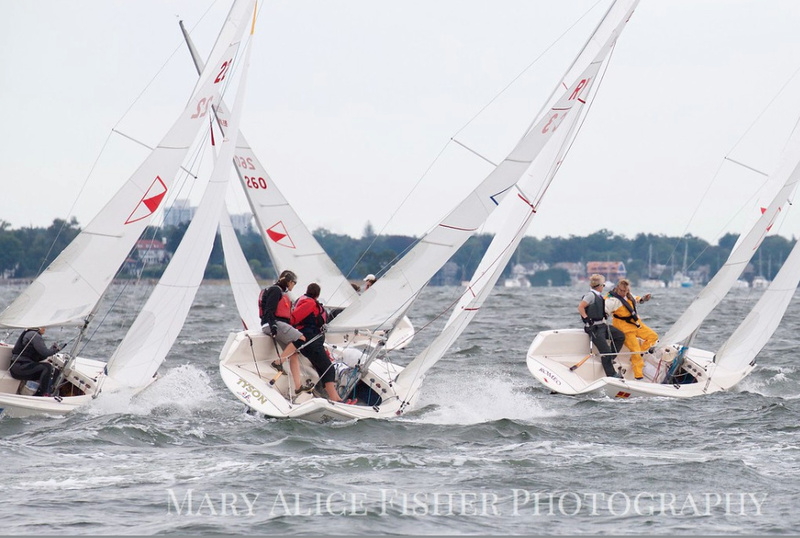 Held in mid September at Larchmont Yacht Club in Larchmont, NY, this regatta is without spinnakers. Katie Morgan, Noroton YC, won the inaugural series. (With Anne Munkenbeck and Ginny Worcester coming just a couple hundredths of a point behind). Katie’s crew over the 4 events were: Nicole Casey (Queen’s Cup and Gillespie Trophy), Britt Hall (Lorna Whittelsey), and Natalie Imamura (Commodore Mendez Trophy). 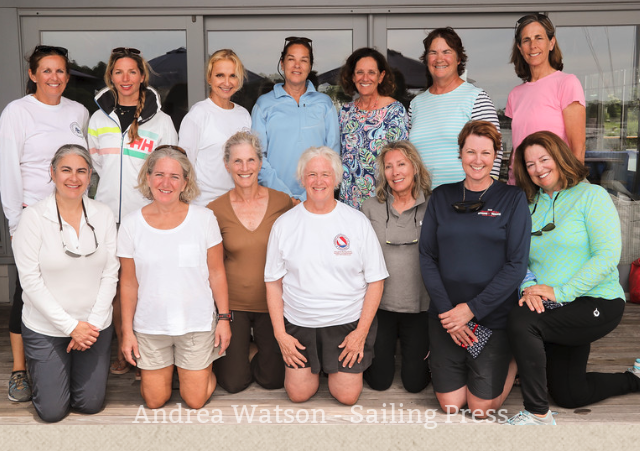 Congratulation to Katie and the 78 women racers, representing 13 yacht clubs, who competed in this inaugural year of the Watson Women’s Series. Participation in four of the above Regattas (all but the Pequot) qualifies women sailors for the YRALIS’s new perpetual trophy - THE WATSON. This trophy was created to honor the longtime service of Andrea Watson as the Executive Secretary of the Yacht Racing Association of Long Island Sound.